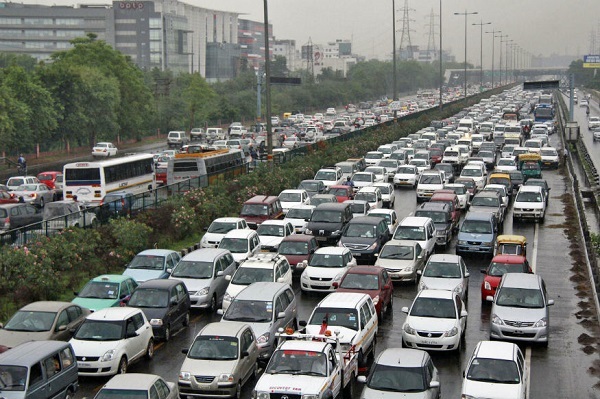 It was almost three years back when the Delhi government implemented the formula of odd and even number vehicles driving on the road alternatively to control the problem of pollution in Delhi and National Capital Region (NCR). The campaign received an encouraging response from the citizens of Delhi. Now taking a step ahead in this direction and to simplify the implementation of odd and even formulae the Supreme Court of India has approved the strategy of pasting hologram coloured stickers to differentiate between petrol, diesel, electric, hybrid and BS-VI compliant vehicles. According to the reports the petrol and CNG vehicles running in Delhi will have to paste blue stickers, while the diesel vehicles will have to paste orange colored stickers on the windshield. The SC has also asked the Ministry of Transportation to think for use of green numbered plates for electric and hybrid vehicles. The stickers will also have the year of manufacture indicated on them to let the authorities in identifying the vehicles that are restricted from entering inside the Delhi. With the implementation of the new strategy, it will be easier for the authorities to identify the category of vehicles running on the Delhi roads. In the absence of such categorization, it was difficult for the agencies to identify the diesel and petrol vehicles that more than fifteen years old and not allowed to step inside the Delhi and NCR region. The SC bench comprising of judges S Abdul Nazeer and Deepak Gupta had instructed the Ministry of Road and Transport and Highways to implement the use of coloured stickers in Delhi-NCR region by September 30, 2018.